Can there be anyone in this world who does not like to receive flowers? Or anyone who refuses to acknowledge how beautiful flowers are? Well, we think no! Flowers undoubtedly are the prettiest gifts that are capable of bringing a smile on everyone's face. They can add warmth to one's day and make the soul feel peaceful and calm. Can there be anyone in this world who does not like to receive flowers' Or anyone who refuses to acknowledge how beautiful flowers are' Well, we think no! Flowers undoubtedly are the prettiest gifts that are capable of bringing a smile on everyone's face. They can add warmth to one's day and make the soul feel peaceful and calm. Flowers are perfect for any occasion, be it a birthday, wedding, celebration or anniversary and what better that getting them surprisingly delivered to one's doorstep' The sweet fragrance and the natural splendor of flowers are sufficient to brighten up any kind of setting, and spreading joy wherever and whenever they are presented! We, at MyFlowerTree, have a handpicked range of floral gifts to choose from, including flower bouquets, colour flower combos, orchid bunches, flower baskets, and clads of decorative flowers, for express delivery as well as midnight gift delivery. You can now order roses online with just a few clicks, all ready and prepared to be delivered the same-day you order them. There are some relationships that deserve something extra, different and extremely special. Like parents, who deserve unconditional love in return of all that affection they shower upon you - sisters, who support you through the thick and thin, friends who ensure you're never alone or elder brothers who are more like fathers to you; all of these special relations need special gifts to express to them of the incomparable place they hold in your heart. We understand all those emotions and thereby, make available for you mesmerizing carnation flowers for same day delivery that can help you express your feeling for all those you love and hold dear. Let flowers speak the language of love and express your emotions where words just won't suffice. Helping you add smiles to your loved ones' faces, the online flower shop that is MyFlowerTree specializes in delivering fresh flowers in the most classic and expressive arrangements, nicely wrapped in different designer and colorful papers and elaborated ribbons and bows. Sending gifts to your loved ones is now convenient than ever! Our intuitive online interface and user-friendly buying process lets you browse, filter and select the most exquisite of gifts, and get them delivered at your loved one's doorstep. We don't just deliver flowers online, we deliver love and blessings! No matter the preferences and occasion, we have the most splendid flower bouquets for you. Flowers are for those whom you form cherished bonds with, be it your parents, siblings, friends or a special someone. 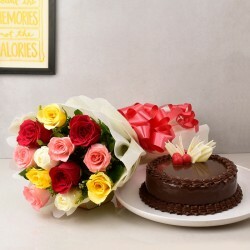 We understand that each relationship has its own unique significance, and in order to celebrate your deepest bonds of affection, you need the right choice of gifts, and there's no gift more appropriate than sending birthday flowers online, which also applies to wedding anniversary flowers or flowers for any other personal or special occasion. Flowers do not just have to be about the special days, but about all those special moments that call for celebration and joy. Gift a bouquet to all those mothers, wives and sisters who are an epitome of love, care, and compassion for you, without waiting for their special days to come; make the most unexpected days be special for them. The most important people in your life deserve your appreciation and gratitude, right? 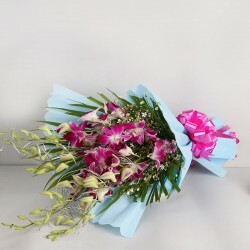 Express it through our enthralling range of bouquets as you thank them for being there. From Roses, orchids, tulip, cymbidium to lily, carnation, hydrangea, bird of paradise, anthurium and gerberas, we have a vivid assortment of flowers that can make up the most stunning bouquet arrangements. Through our express same day delivery of flower bouquets, we ensure that the flowers reach your loved ones in the most fresh and fragrant state. 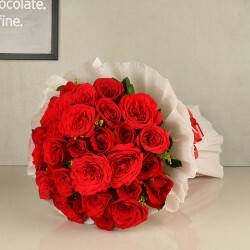 We offer flowers delivery in Delhi and Gurgaon, and are preferred by many customers for flower bouquet delivery. There was a time when you had to visit the local florist to select flowers, get them arranged and then self-deliver them to the location. But nowadays, it is a completely different tale, as surprising your loved ones has become so easy owing to the fact that you can simply order online to get the flowers delivered. 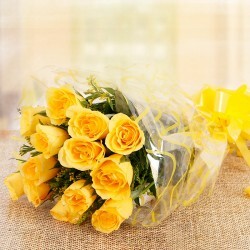 With just a few clicks, you can place an order for online flower delivery to your dear ones' doorstep. Each flower can have its own exquisiteness and charm that adds vibrancy to different occasions, and the beauty of it all lies in the presentation. To ensure that that is the case, we have a team of expert florists who craft fabulous flower arrangements from bouquets for birthdays and flower vases for housewarming, to heart shaped ensembles for anniversaries and themed baskets for several other special occasions. 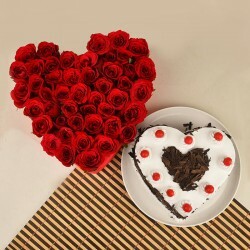 At MyFlowerTree, we basically have all that you will ever need to impress and make the one you love, happy. 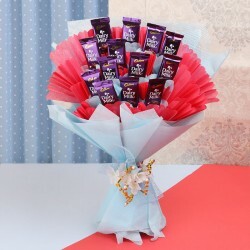 We don't just offer flower bouquet delivery but also havea range of thoughtful gifts and fresh & delicious cakes to complement the occasion and make sure that all our deliveries are brimming with love!So, the next time you planto send flowers online, you know whom to bank upon!